There are just two things in this world I love: listening to CiTR radio and talking about fundraising. 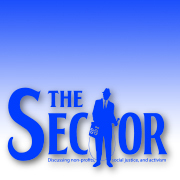 So when the two objects of my affection came together through a podcast with Ethan Clow of “The Sector” I felt like I had been handed a grilled cheese sandwich. The kind with at least THREE kinds of cheese. Take your time with this – Ethan starts with an overview of the charitable world, then gets into some targeted questions with me. Topics include competition between charities, who you should take money from, trends in giving, and tonnes more.